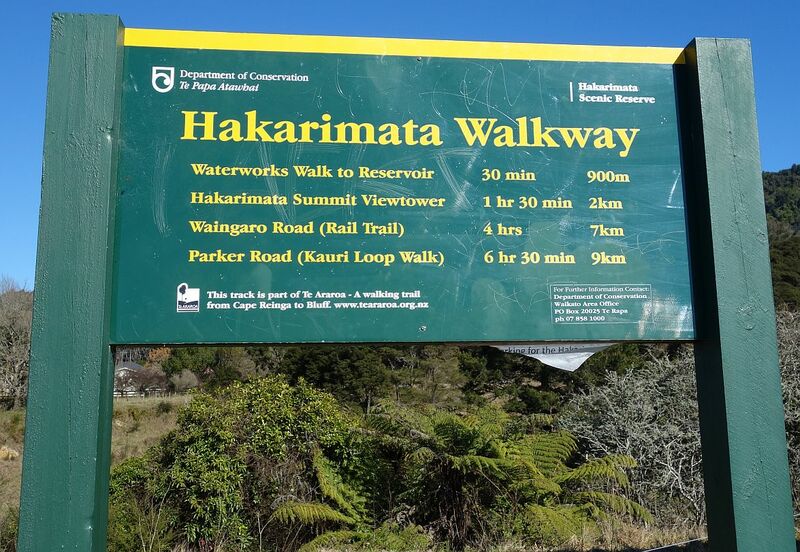 The Hakarimata Summit Track is one of the busiest tracks that I have walked. There was a constant stream of walkers, runners, and trampers going up and down the track. It was a fine and clear Sunday, which probably added to the popularity. 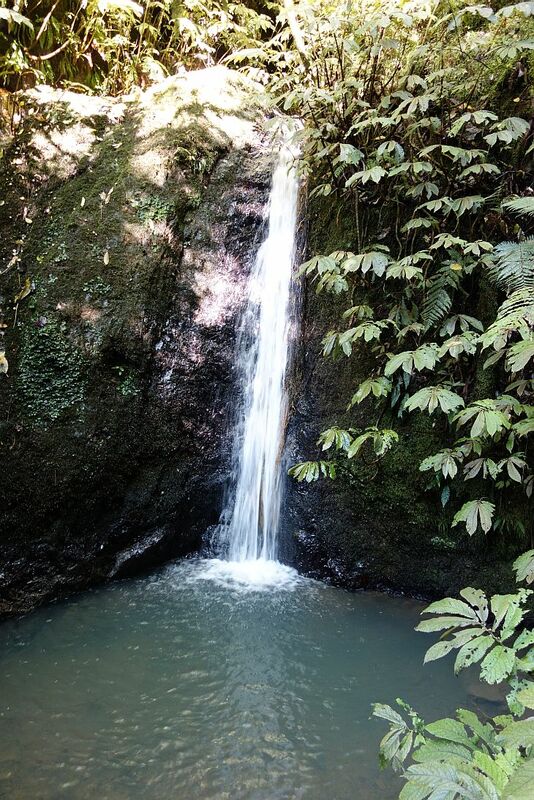 The track consists mainly of steps, 1349 steps in all. 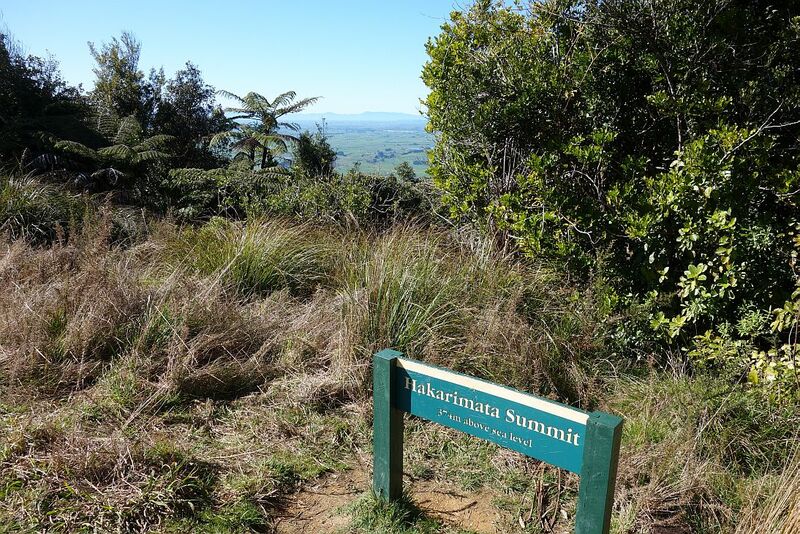 The summit is at 374m, with a climb of 335m to the viewing tower at the summit. The climb took almost 90 minutes, the return downhill took just over 30 minutes. 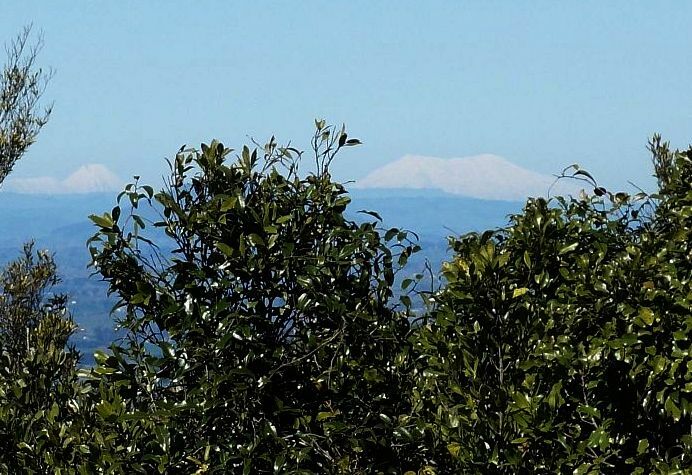 On a clear day, like today, you can see Mt Ruapehu south of Lake Taupo, a total distance of 182km away.The track starts on Brownlee Ave, on the outskirts of Ngaruawahia. Some parking is available, but on a busy day it may be necessary to park some distance away. There are no toilet facilities at the start or anywhere along the track. More details of the track can be found on the DoC web site. 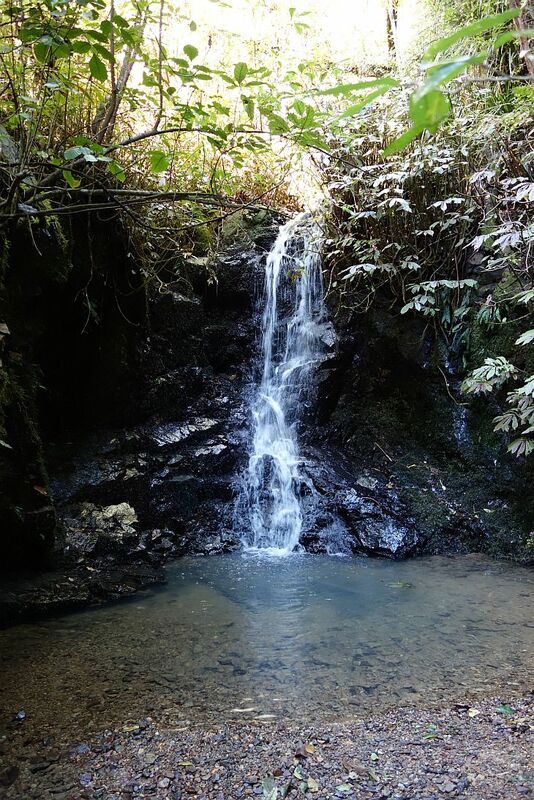 There are streams and small waterfalls alongside the lower parts of the track. 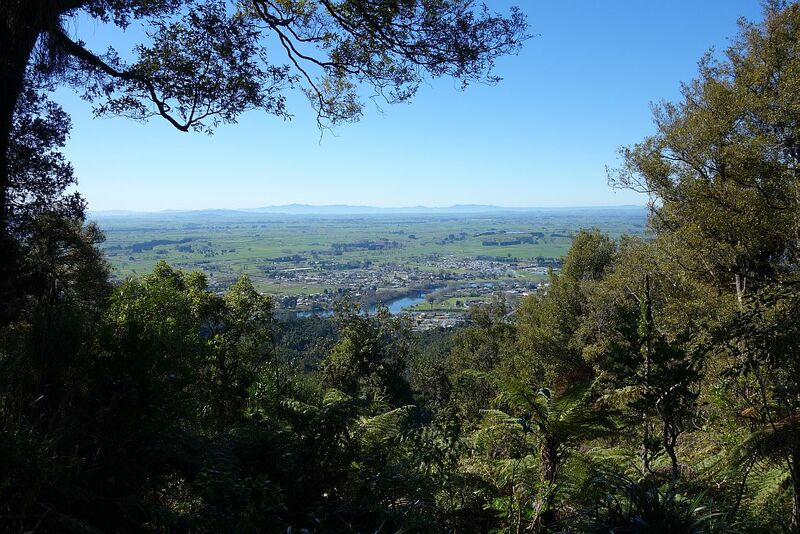 The dam and reservoir which was used for the Ngaruawahia water supply is only a short distance from the start of the track, and only a few metres from the summit track. The reservoir is now silted up, and no longer used. 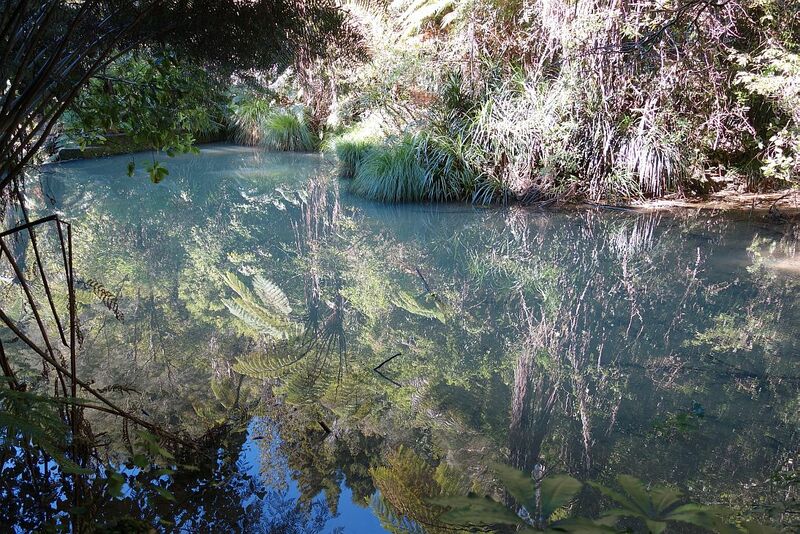 On a still day the vegetation is clearly mirrored in the water. 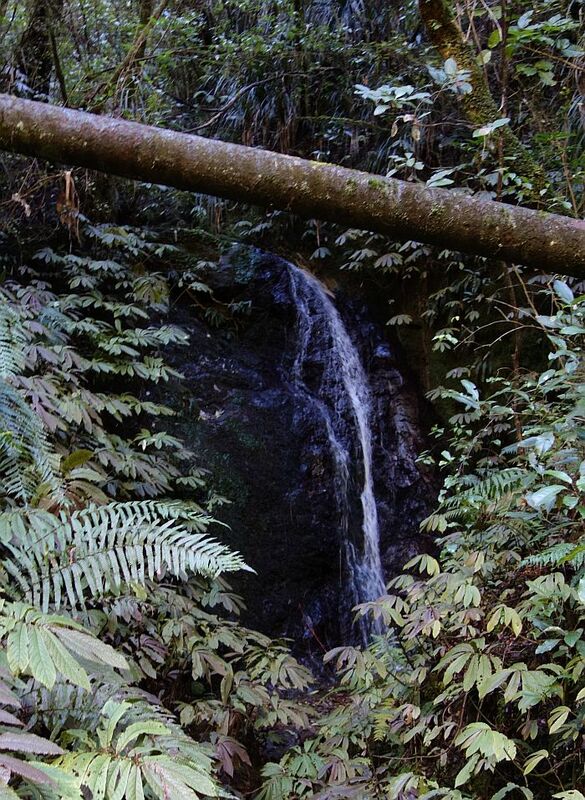 The water pipes used for the water supply can still be seen in places. View from the track to the summit. The summit, at 374m above sea level. 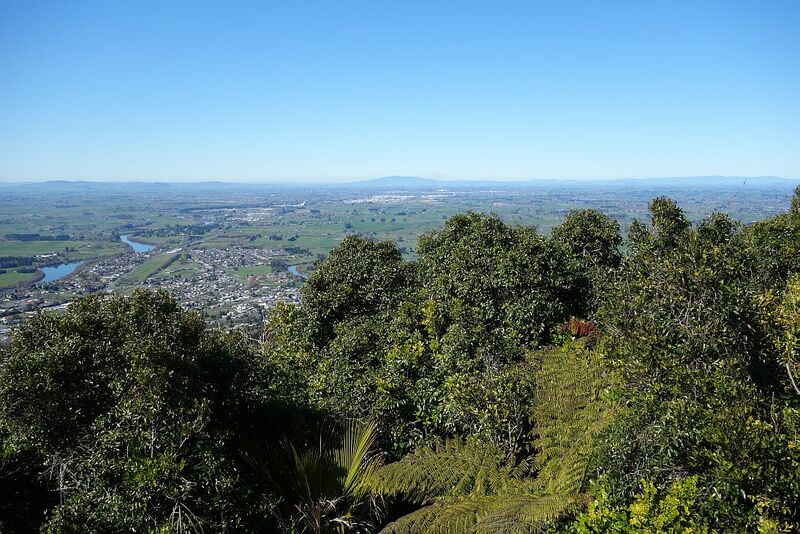 Looking from the viewing tower south over Ngaruawahia towards Hamilton, with Maungatautari in the distance. 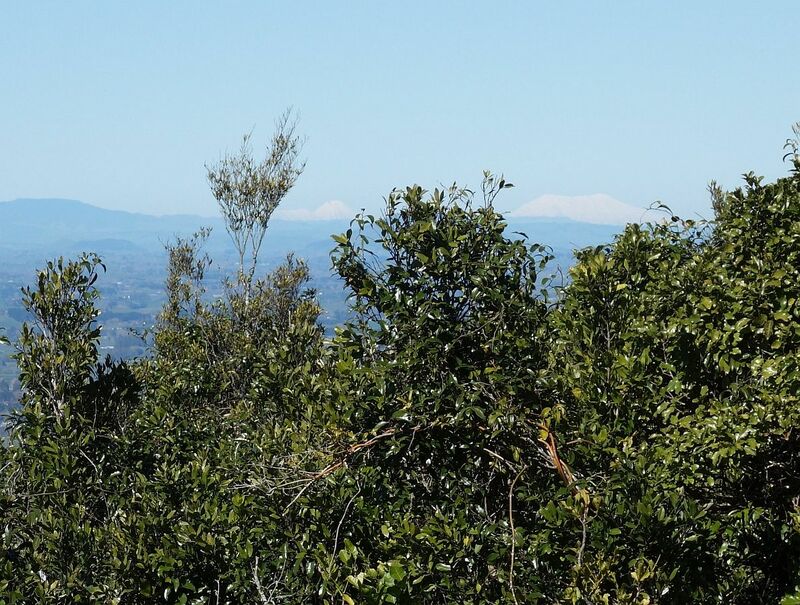 Mt Ruapehu with a covering of snow to the right. It’s 182km away. Left of centre is Mt Ngauruhoe, also covered in snow. On the summit lookout tower. There is a helicopter landing pad on the left. Walked on August 24, 2014. 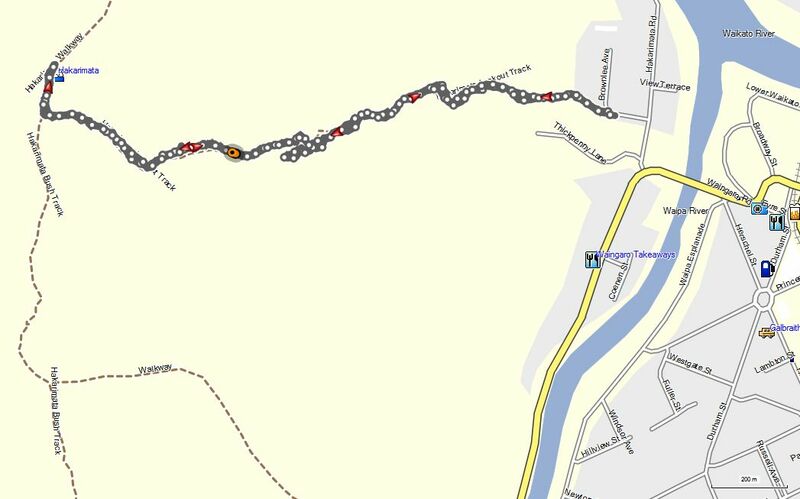 Here is a GPS track log of the walk. 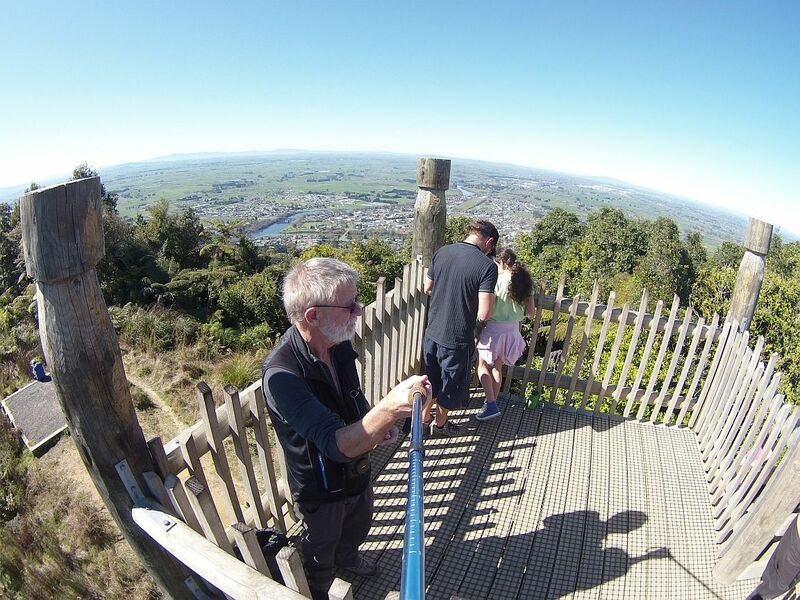 This entry was posted in Walks and tagged Hakarimata, Ngaruawahia on 2014-09-02 by nzartig.